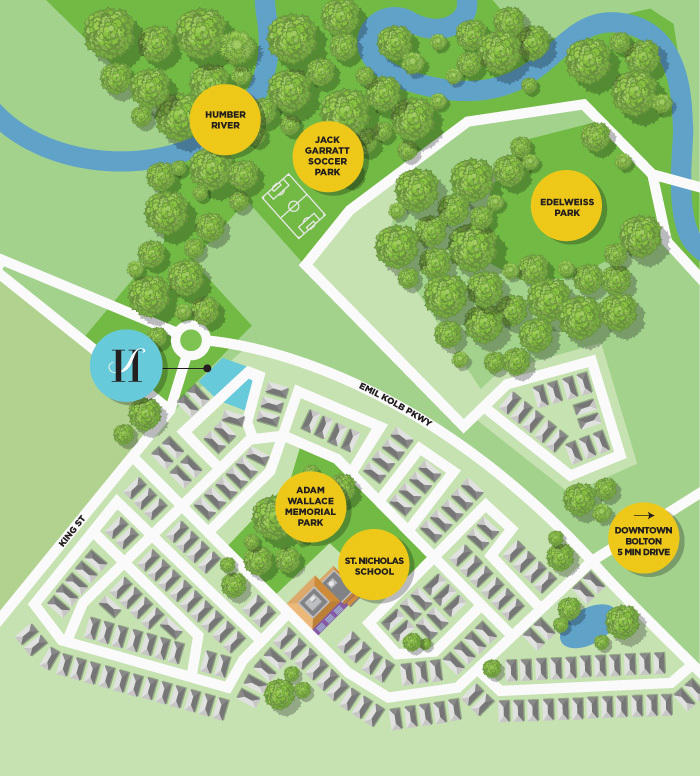 Just a short stroll from where the Humber River curves through the Caledon landscape, Humberside by Marycroft Homes is a cozy and connected community of spacious semi-detached and detached homes in a highly desired and established neighbourhood. This exclusive offering of only 26 homes won't last. Be among the discerning few to make Humberside home! Founded in 1822, Bolton is home to the largest community within the town of Caledon, and has quickly become known for being the perfect place to raise a family. Full of great schools, parks, shopping, and dining, with the beautiful Humber River winding through it, Bolton has an abundance of memories just waiting to be made, for individuals and families alike. Watch with delight as your children play street hockey with the neighbourhood kids, breathe in the crisp fresh air on a scenic nature walk, or bond over a great meal at a local favourite restaurant. Bolton has all the warmth, safety, and community spirit of times past, with the convenience of everything you want, right at your doorstep.